Rain or Shine – how will rainy weather affect Halloween Town…? Most of the haunted areas are located inside cabins, which are protected from the weather. 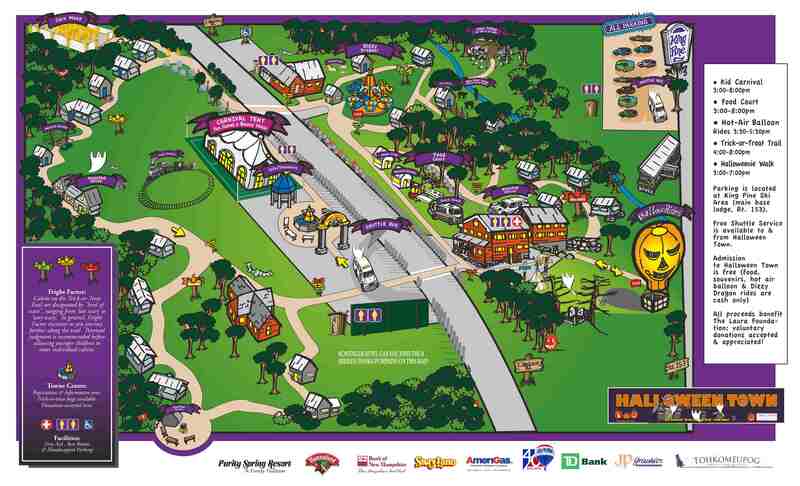 Carnival games will be set up under a big tent. Food vendors will also be protected from the weather… or simply moved inside the camp lodge. Please keep all fingers crossed we don’t get a random blizzard. Heavy rain may inhibit certain components of Halloween Town; some of the animals in the petting farm are weather dependant. Also, tethered balloon rides may be suspended in the case of foul weather. However… it has been proved that this is a great event, regardless of Mother Nature’s mood!